Racehorse for Young Readers, 9781631582769, 384pp. The imaginations of children throughout time have been formed and nurtured by stories passed down from generation to generation. Of the countless genres of stories, fairy tales often conjure the most vivid fantastical worlds and ideas, which cultivate creativity and bring elements of magic back into the real world. Many of these fairy tales have been collected over time into hundreds of memorable collections. However, the ones commonly considered most notable are the Fairy Books compiled by famous Scottish novelist and poet Andrew Lang. 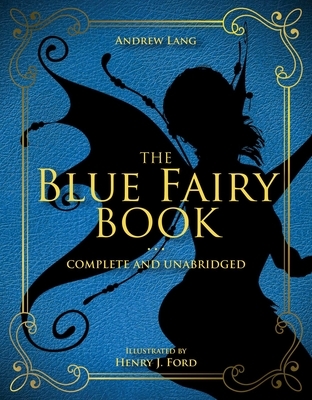 The first installment of his widely read classics and arguably his best known, The Blue Fairy Book has been admired time and time again, enchanting readers with its carefully crafted prose and eclectic assortment of fairy tales. Originally published in 1889, this collection of celebrated tales has stood the test of time. This beautiful edition comes complete with the original illustrations by Golden Age Illustrator H. J. Ford, and is the perfect gift to pass on these timeless classics to the next generation of readers and dreamers. Andrew Lang was a Scottish poet, novelist, literary critic, as well as a well-known collector of fairy tales. He was born in Selkirk, Scotland. Throughout his lifetime, he wrote, edited, collected, or contributed to more than 150 works, most notable of which are his Fairy Books. He died on July 20th, 1912, at age 68. H. J. Ford was an esteemed, prolific artist and illustrator from England, who developed his talent during the period known as the Golden Age of illustration. He was catapulted into the public eye upon providing illustrations for Andrew Lang’s Fairy Books. His fame and success peaked when his art was featured in works by C. R. L Fletcher and Rudyard Kipling. He continued to illustrate classic works until he died in 1941.